KJV Pocket Reference Edition was published by Cambridge University Press in September 2012 and is our 40178th best seller. The ISBN for KJV Pocket Reference Edition is 9781107032729. 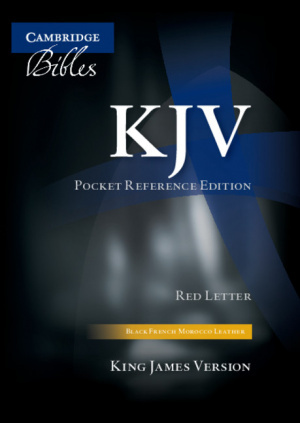 Be the first to review KJV Pocket Reference Edition ! Got a question? No problem! Just click here to ask us about KJV Pocket Reference Edition . Is the KJV 243:XRI bible laid out in verse by verse (ie. different verse on each line) or in paragraph format please?